It is generally believed that Frederick Scott Archer was born in Bishops Stortford, Hertfordshire around 1813; the son of a Butcher. However there is no extant documentary or other evidence to support this view. The 1841 Census record relating to Frederick Scott Archer states somewhat confusingly that he was born in Scotland; whilst the 1851 Census states that he was born in Hertford, Hertfordshire around 1814. 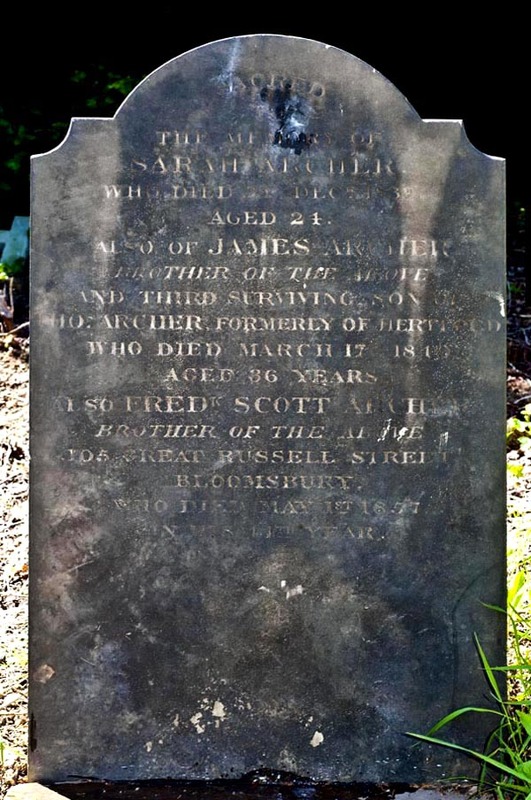 The family headstone in Kensal Green Cemetery adds weight to the theory that he actually came from Hertford, stating that his father was ‘THOs ARCHER FORMERLY of HERTFORD ...’. No record of a Thomas Archer butcher of Bishops Stortford can be found in the surviving documents of the Hertfordshire Archive and Local Studies Office (HALSO), at Hertford. However records relating to Thomas Archer, Butcher of Hertford and his ancestors are to be found in abundance at the HALSO. 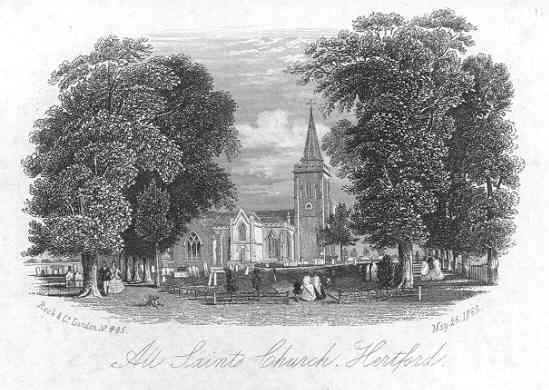 Furthermore, Frederick Scott Archer, his brother James and his sister Sarah were all baptized in All Saints Church, Hertford on the same day – 21st April 1822. The only certain connection of Frederick Scott Archer to Bishops Stortford is that his wife Frances Garrett Machin was born there, the daughter of Nathaniel Smith Machin, an auctioneer of Bishops Stortford and King Street, Covent Garden, London. Even the date of his death is often given incorrectly as 2nd May 1857; his death certificate clearly shows he died a day earlier on the 1st May 1857. Frances Garrett Machin was born on the 24th January 1806 at Bishops Stortford, the daughter of Nathaniel Smith Machin an auctioneer and his wife, Mary (nee Debenham). Her father was a partner in the famous London auction house of Debenham & Machin (later Debenham & Storr) of No. 26 King Street, Covent Garden. It was probably in Covent Garden that she first met FSA who lived in a street close by to her father's premises. On the 4th January 1844 they married at St. Mary's Church Bexley, Kent where she worked in nearby Welling as a Schoolmistress. Together they had three daughters Alice, Constance and Janet. 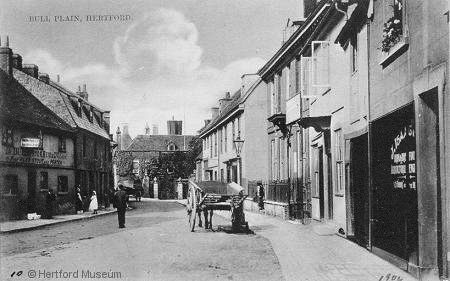 Shortly after FSA's death she moved back to her native town of Bishops Stortford, where she died on the 21st April 1858. Of the three Archer children, it is known that at the time of the 1861 Census they were all pupils attending a private school at No. 14 Upper Phillimore Place, Kensington. The eldest Alice Archer died aged 18 in 1863 at the Vicarage in Saintfield, County Down, Northern Ireland, whilst staying with her Aunt Eliza Debenham Machin who had married in 1844 the Reverend George Edmundson, the vicar of the parish of Saintfield. Constance Archer died eleven years later in 1874 whilst living in Paris. Janet Archer however lived a full life. She trained as a Heraldic Artist and never married, eventually dying in 1939 at the age of 89 at Oxhey, near Watford, Hertfordshire, England. Acknowledgement: I would like to thank Gordon E. Goody for providing us with much valuable information on the Archer children. FSA's elder brother George was at first apprenticed to his father as would be butcher, but chose instead to join the Army. In 1832 he enlisted in the 11th Regiment of Hussars as a Cavalry Trooper. After a spell in India he ended up taking part in the infamous 'Charge of the Light Brigade' at the Battle of Balaclava in the Crimea on the 25th August 1854. He survived the 'Charge' and was later invalided out of the Army as Hospital Sergeant Major, and continued to live a full and long life, eventually dying in Warneford Hospital, Leamington Spa in 1871. Ironically it was that same war that the use of FSA's Collodion process was reportedly to have saved the British Government upwards of £30,000 alone on the cost of producing its maps for the conflict. Want to Know More? - Then You Will Have to Wait for the Biography!